Vinnie Zummo is all about being eclectic. There are few genres that he cannot recreate as a player or as a writer/producer. He has been playing from the age of five and though he started out in rock and roll he fell in love with bop and all subsections of jazz when he was about 18. Thus began a life-long study of the music and a daily practice schedule of two to five hours a day. 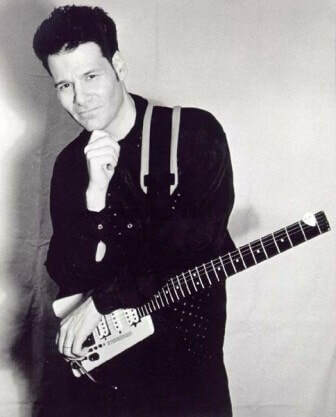 Vinnie is probably best known for his years with the Joe Jackson Band. And since leaving Joe, he has carved out a unique and varied collection of solo albums. His three “Swinging Guitar Sounds of Young America” CDs are unique in that every cut is a different genre. From song to song, there are tracks that sound like undiscovered Beatles songs or Beach Boys or Ted Wills or BB King or John Scofield. From African to Zydeco to deep blues to humor. He combines music that can be played in the background at a quiet gathering with a searing jazz oriented guitar solo. His two latest albums “Jazz Album” and “The Coyote” are jazz in the straight ahead bop vibe. “Jazz Album” also features his talented wife Janice Zummo singing half the songs. Janice and Vinnie currently have a trio and perform at various New York Jazz venues. Vinnie has also made a living scoring for TV and movies. Some of Vinnie’s songs can be heard in the movies “Must Love Dogs”, “Ironman III”, “The Weatherman”, and many other films.